Summer activities come in a variety of forms, but in my opinion the best of all are the activities that are not only fun but help others! The weather was hot, dry and windy but we used the small amount of shade from my truck when possible to escape the hot sun from time to time. We had a couple different guns we were shooting, but primarily used my Winchester 17 WSM. 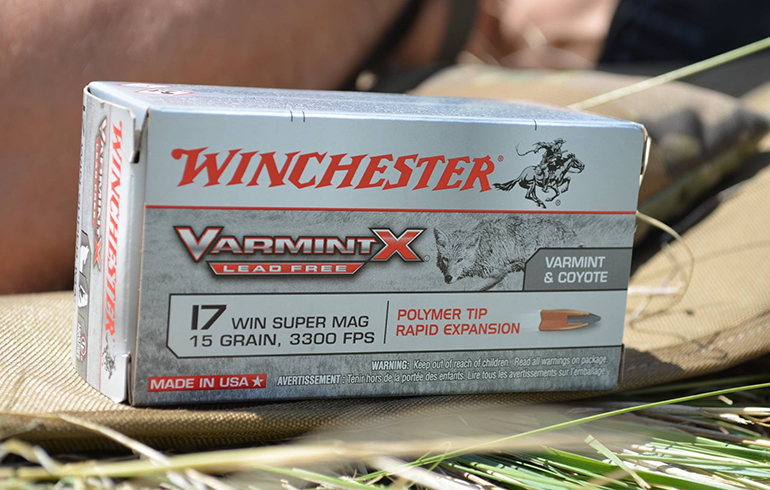 We were using the Winchester Varmint X Lead Free in a 15-grain for most of the shooting. At 3300 FPS, this is the fastest rimfire in the world and a great way to get the low cost of rimfire ammunition. It also is extremely quiet and because of the speed, it’s incredibly flat-shooting. Usually I’d recommend having bipods setup on any gun, but this trip we used my soft sided Engel cooler as a front rest and then shot prone from a mat. If you’re planning to do a lot of shooting, bringing a mat, blanket, or some type of barrier between you and the ground is really important. Pork Chop enjoyed the day, we got a little sunburned, but had a ton of fun and definitely put a dent in the local prairie dog town! With temps in the upper 90s we made sure to have a cooler packed with lots of Gatorade and water and took several breaks in the shade. Not only did we get rid of a few prairie dogs, it’s amazing how great the practice is. You are shooting over and over at long range and aiming for a small target. Regardless of what type of rifle is preferred during the fall, the more time spent behind any gun the better off you’ll be! 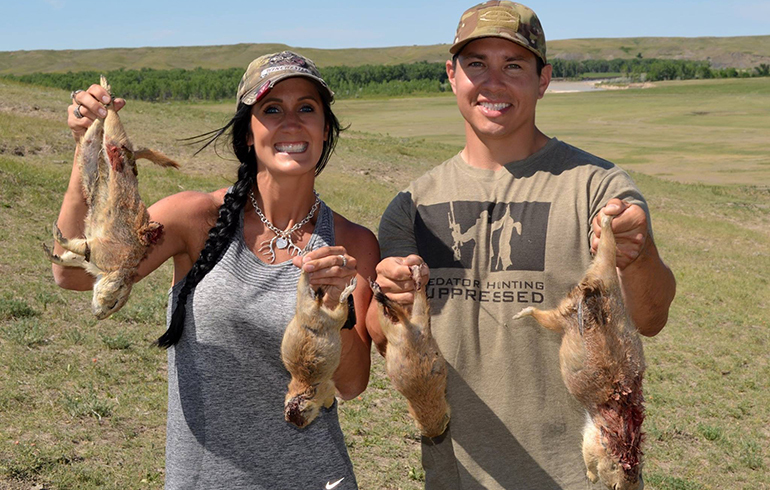 If want to keep up your shooting but sick of shooting paper, prairie dog hunting is a great way to go! Shooting something like the Winchester 17 WSM is very economical. 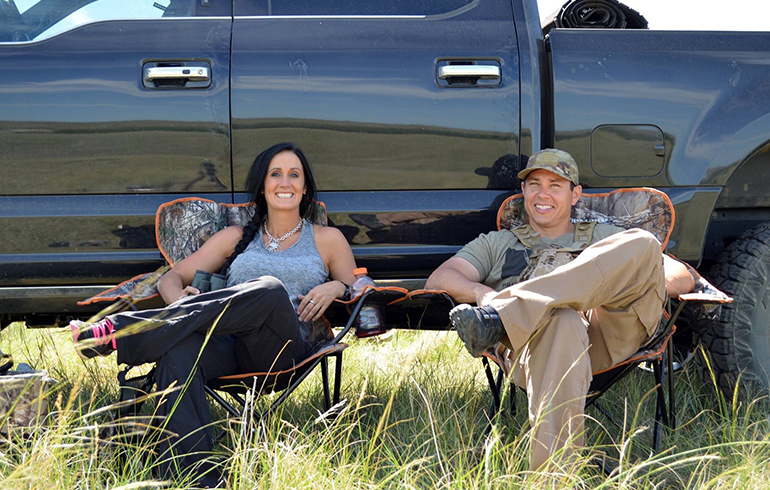 You’ll definitely make a rancher happy plus improve your shooting.